Commission the Anonymous Society of Artists to produce an eye catching poster to promote your next big event. 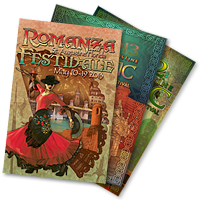 Our pool of talented artists have produced artful posters to promote large scale festivals and events including the St. Augustine Celtic Music and Heritage Festival and the Romanza Festivale. 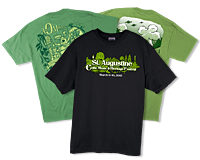 Contract our graphic artists to create a striking T-shirt design for your business or event. Our experienced design team will work closely with you to produce an original shirt design that meets your satisfaction. 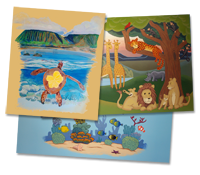 Hire our professional artists to design and paint a stunning large scale image for your child’s room, restaurant or business. Our talented painters have produced beautiful murals for numerous businesses and individuals throughout Northeast Florida. Our artists are available to draw and paint commissioned artwork to your specifications. 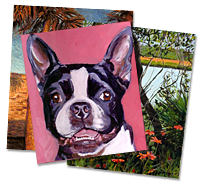 We are skilled at working from a variety of subject matter including still life, outdoor scenes, pets and people.